Gisborne, New Zealand is a lovely coastal city, located on the North Island approximately 480 km from Auckland and 525 km from Wellington. Gisborne is situated on the east coast of the country, and this location has allowed the city to call itself the ‘Chardonnay Capital of New Zealand.’ From the exceptional beaches to the fishing and wine tasting, Gisborne has something for all tourists, and if you are travelling to the city, you must spend some time at the Botanical Gardens. The Gisborne Botanical Gardens is a public garden that sits on 5.1 hectares, and it dates back to 1874. The garden is located along the Taruheru River off of Aberdeen Road, which is less than a kilometre from the CBD, giving visitors easy access to the eye-catching green space. The gardens have many trees, some of which still remain from when the gardens were founded, a cactus collection, rose garden, children’s playground and an aviary. It is a wonderful place to spend the afternoon and a perfect activity for the entire family. The Gisborne Botanical Gardens is the oldest reserve in the city, and has been so since it was declared a public garden in 1874. At that point, the reserve was only 2.55 hectares, and included the land next to the shore of the river. The site was also a popular place for cricket playing, until about 1901 when Victoria Domain was created. The years between 1915 and 1920 were a building period for the gardens, and a number of native plants were introduced to the park. In the 1960s, even more improvements to the park occurred, including the development of the grand entrance gates. Wide pathways were placed throughout the gardens and new rows of flower beds were planted. The poplars, which were first planted when the gardens were established matured in the 1960s, and the area along the river was named Poplar Avenue. At this point, the gardens were used widely as a public park, too, thanks to a Council designation. The free flying aviary was built in 1972, and the Council once again declared the area a botanical garden. In 1978, Mr. and Mrs. J.B. Grieg donated a cacti collection to the Council, and it was placed in a glass house in the gardens. The garden continued to grow and develop throughout the 1980s and early 1990s, and in 1994, the Gisborne District Council developed three new sister gardens, which represent the sister cities of Gisborne. Today, the Council works closely with the Gisborne Sister Cities Committee and the Friends of the Botanical Gardens to continuously develop the space for both locals and visitors. 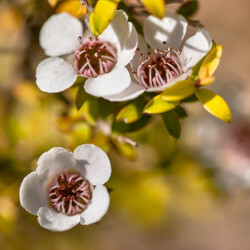 The plants and trees found at the Gisborne Botanical Gardens are varied, and though there are many native florae in the confines of the gardens, there are also imported plants and trees for visitors to enjoy. One of the main features of the Botanical Gardens are the sister city gardens. These gardens were designed to represent the three sister cities of Gisborne. The Australian Garden was the first sister city garden, and it was built in 1997. This garden represents the relationship between Gisborne, New Zealand and Gisborne, Victoria in Australia. This garden features native plants from Australia and a very special sculpture, which was given to the city from the Australian Gisborne. The sculpture, which is a rain catcher, is made of bronze and represents the water cycle, including precipitation, cloud formation, and evaporation. The Japanese Garden is one that is inspired by the relationship with Nonoichi, Ishikawa, the second sister city of Gisborne. The Japanese Garden features a pond with a Japanese rock garden, along with traditional Japanese Mondo grass, Japanese lanterns, and other native plants of Japan including a row of cherry trees, which sit along the water. The Palm Desert Garden is the third sister city garden, and it has been created to represent Gisborne’s relationship with Palm Desert, California in the United States. This garden hosts the cacti collection, as well as desert native plants such as yucca, agave, aloe and succulents. There are a number of desert palms in the garden, as well as a collection of rock artwork, which was created by a California artist. The sister city gardens are not the only gardens one will find during a visit to the Gisborne Botanical Gardens. There is also the New Zealand Native Bush Garden and the Riverside Garden. The New Zealand Bush Garden allows visitors to view native plants from a raised walkway. There are both understory and high canopy species, which include the rimu, totara, nikau palm and kauri, among others. There is a small natural pool in this garden, fed by a natural spring, and birders will love this garden for the native birds that are often seen among the plants and trees such as the tui, bellbird, kereru, fantail and grey warbler. The Riverside Garden features a sealed path, and runs along the Taruheru River. The path starts at the children’s playground and leads to the Australian Garden. Along the way, visitors will see a number of perennial plants along with herbaceous plants from across the world. This includes evergreens, spring flowering bulbs and shrubbery. One of the favourites of the Riverside Garden is the rose collection. Here, visitors will find a range of roses in varying shapes, fragrances and colours. 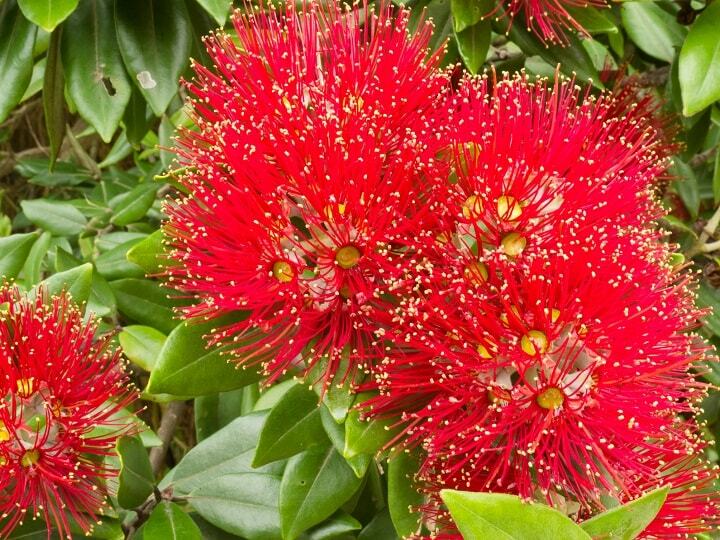 For visitors who are interested in trees and unusual species, there are a number of important additions that have been made to the Gisborne Botanical Gardens over the years. These include the Pin Oak, which is native to the eastern United States and Canada, the Maidenhair Tree, from China, the Tulip Tree, and Captain Cook’s Pine, which comes from New Caledonia. One feature of the gardens that you must see is the free flying aviary. These aviaries were extremely popular in the late 1800s and early 1900s, and they are more difficult to find, today. When touring the aviary, you will come in contact with more than 100 birds including pigeons, canaries, budgerigars, parrots, finches and love birds. You may also catch a glimpse of quails, cockatiels, parakeets and sparrows. If you are in the Gisborne area and looking for a wonderful way to spend a couple of hours, you won’t go wrong with a visit to the Botanical Gardens. Bring a picnic, grab the kids, and get ready for a lovely day walking through the plants and enjoying the gift of nature.